If you want to quit the conventional Christmas tree and get something unusual, this is the place for you. 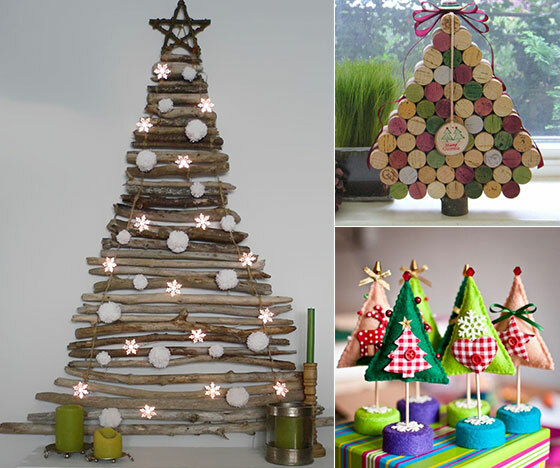 Here are 16 Clever Unconventional Christmas Tree Ideas – some of them come with full tutorial so you can do it yourself and some of them can be purchased on etsy. Hence all of them are handmade, either by you or the artist. Of course, they are not the real tree, doesn’t give you that special smell. But not everyone likes the idea of cutting down the trees and for some space-limited home, an acutal one is not possible. 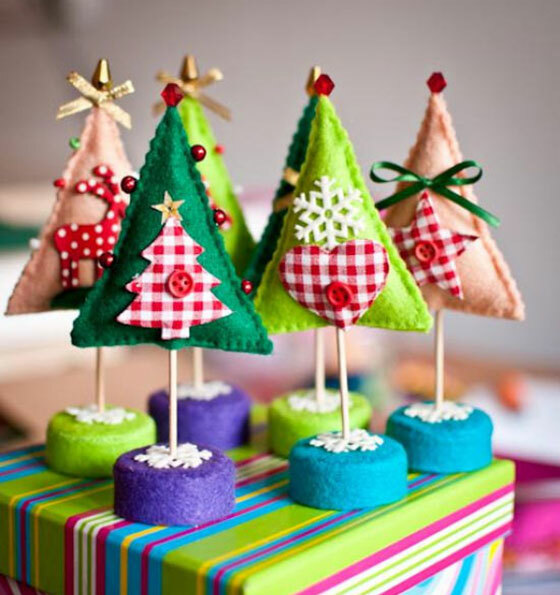 Create your own tree or buy a handmade tree decoration becomes the attempting options. 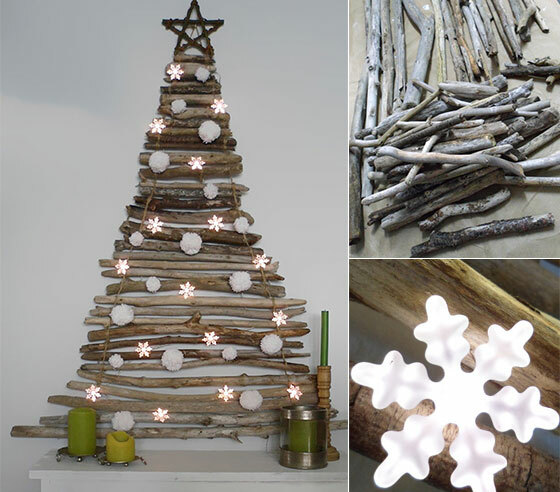 Anyway, take a look at our lists and hope it can give you some inspiration to make your own Christmas Tree. 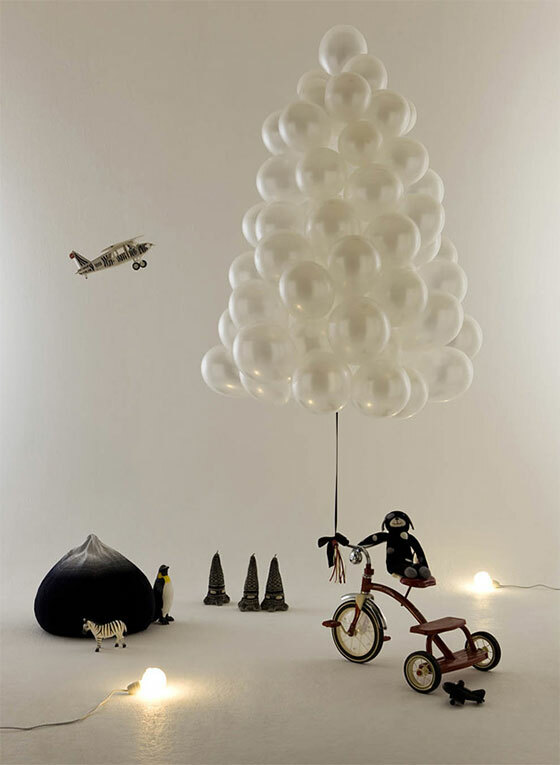 This beautiful tree is made of white balloon and float in the air. How cool is it! 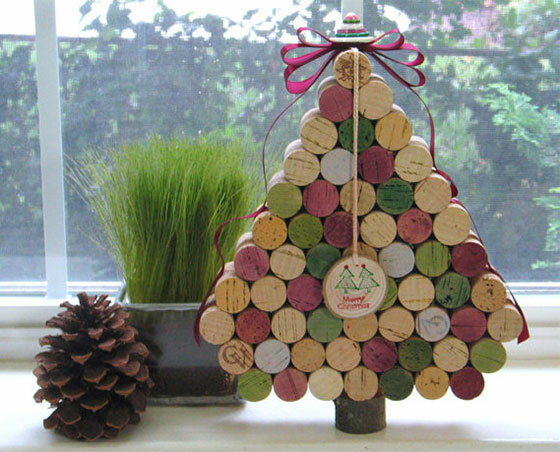 This miniature wine cork Christmas tree will add a little whimsy to any holiday decor! Makes a unique, eco-friendly gift for family, friends, co-workers — perfect for wine lovers or the host of your next party. However you use it, it’ll be sure to add festive “Cheers!” to your holidays. These are Crochet Patterns of 3 different designs of Christmas Tree with Star. 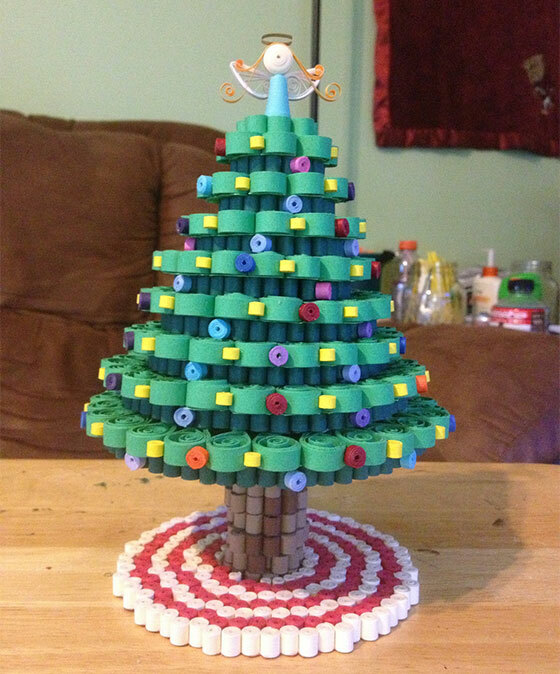 A little quilled Christmas tree with lights, ornaments, a tree skirt, and an angel topper. It stands at approximately 8.5″ tall and is 5″ at its widest point. 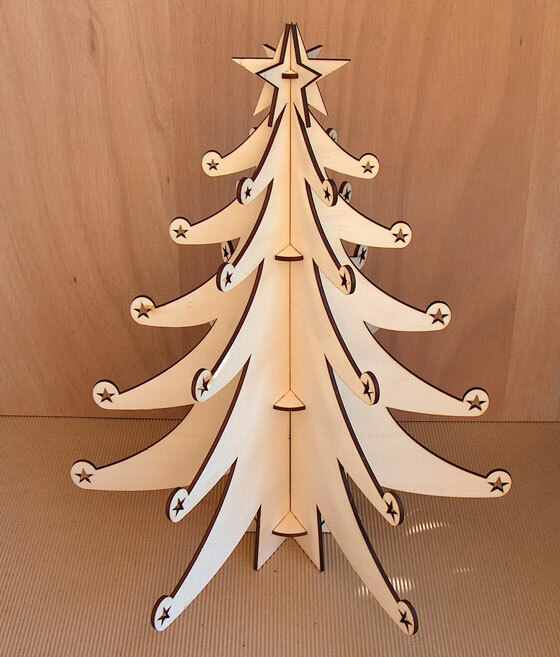 It is a perfect decoration for an office, a small apartment, a table decoration, or for a child’s room so they can have their own Christmas tree. 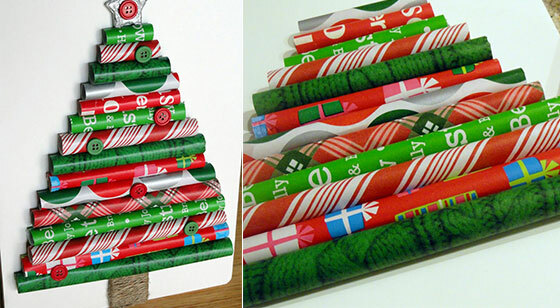 Tutorial to create a Christmas tree out of wrapping paper. It might not that 3D, but it is colorful and simple and work great as a craft task for kids. If you own a lots of books and, especially green cover books, then this is tree for you. 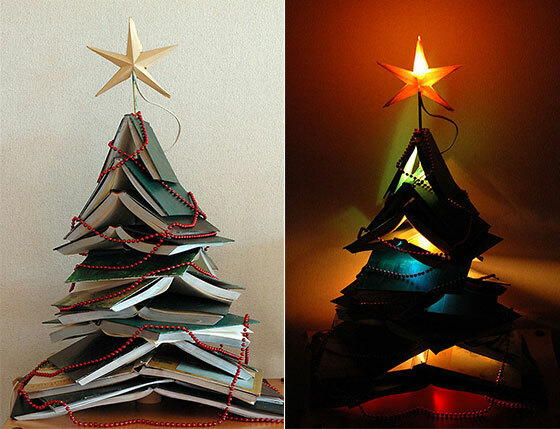 Check to like to find out how to create the Hardcover Christmas Tree. Another great example of using some spare at home to create something beautiful. 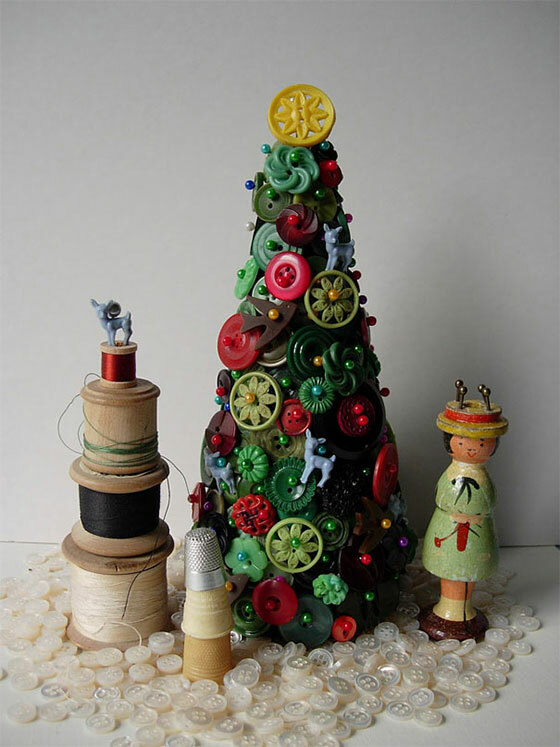 With those big/small and colorful buttons, you can create a unique and fun-looking christmas tree. You even don’t need needles since you just need to pin the button. Its very easy to put together, no need for glue as the connecting joints fit tightly together It can be painted, decorated or left as is in its natural birch wood beauty. The laser leaves the edges in darker tone, that helps in giving the depth to showcase the beauty of natural wood. This special tree is bulit by twigs and joined with a sisal rope, so it can be hang directly on thw wall. You can decorate it whatever you want. But the snowflake-shaped lights and woolen pompoms on the photo makes the tree look pretty and winter-ish. Each tree is sewn out of felt, with fabric and beads appliques, filled with toy fiber stuffing and mounted on a beautiful decorative holder. 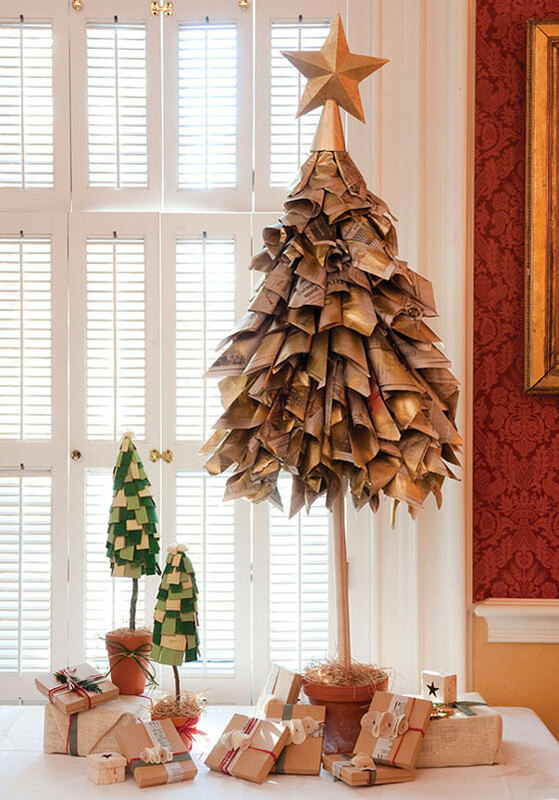 With some newspaper, gold paint, chicken wire and tree branch, you can make this vintage looking christmas tree by following 9-steps instruction. They are unique, and eco-friendly! 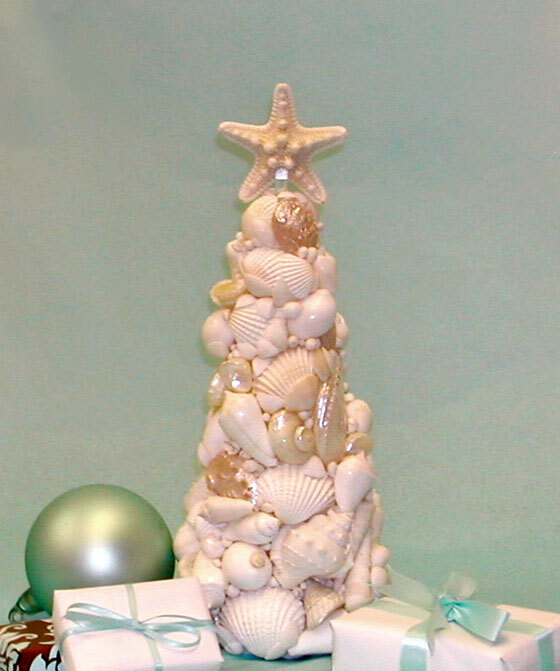 A beautiful shell tree to add a natural element to your tabletop holiday displays. Every surface is covered with flawless shells, both ivory and iridescent. The starfish is attached with a lucite post and the bottom is protected with felt and plastic bumpers. We have no idea of how to find those golden cushion in various sizes; or you have to sew your own golden cushion? 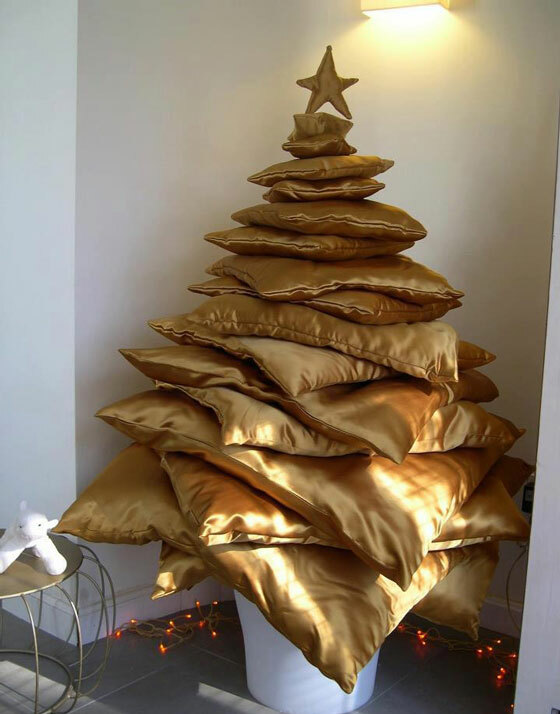 By layering those cushions, you can create a unusual luxury-looking tree. 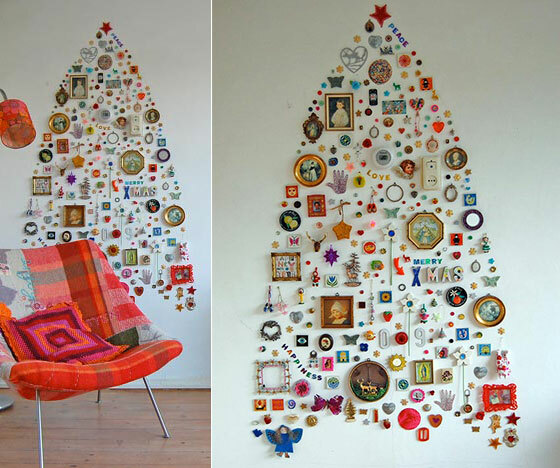 Composed of “useless but pretty objects”, this crafty version of those Christmas Tree wall decals or the Post-It tree can be a unique piece on your wall. It is made out of spruce plywood and there are no glue, screws or dowels in the construction. This is acutally an edible Christmas tree. 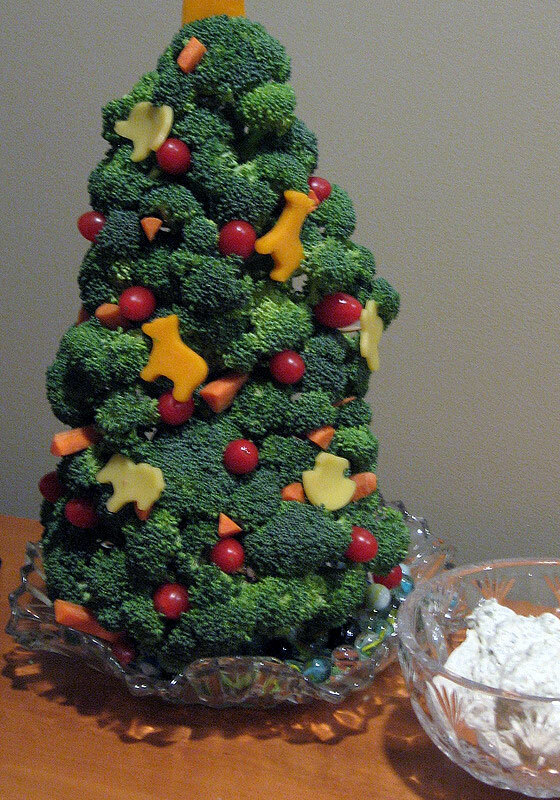 Such a genius idea to mimic the tree with broccoli. The only problem is it is hard preserve the tree for long time. 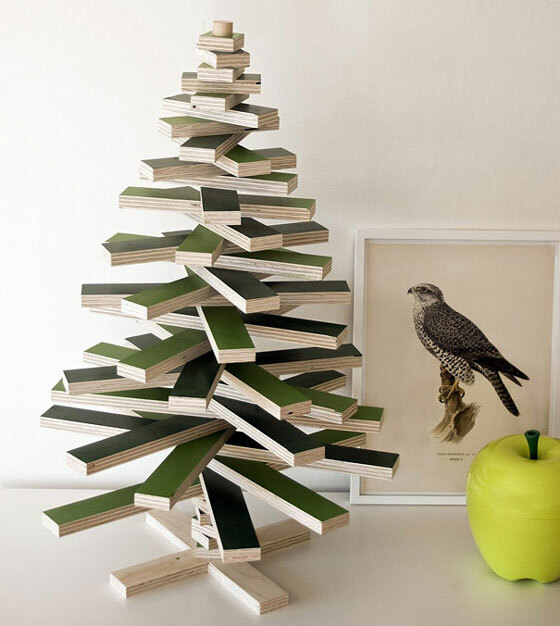 But it is definitely something to “spruce” up your holiday table?